To start the winter off, the squad signed Tim Lincecum 2 YRs/$35 MIL – and then nailed down Hunter Pence to a 5 YRs/$90 MIL deal. Buster Posey is one of the best players in the game of baseball pure and simple. The 2012 NL is the leader of the Giants offense and game caller for the pitching staff. He had a down year for 2013 in respect to his numbers in recent campaigns .Posey will be looking forward to 2014 to bounce back and potentially add another ring. The two time trophy winner signed a contract extension last year that will see him make $164 MIL from 2013 – 2021. Will he be able to play the duration of his contract as a backstopper – or will he eventually be moved to 1st Base? The club also passed on Barry Zito‘s 2014 Team Option for $18 MIL – and are stuck eating $7 MIL worth for a Buyout. The organization replaced him with former A’s teammate Tim Hudson (2 YRs/$23 MIL), who is a much better pitcher at this point in his career than the LHP. When you factor in the $ dished out versus what money extra it would have taken to retain Zito ($11 MIL) Brian Sabean did a nice job off making that decision. The Giants still have huge long – term deals with Matt Cain and Hunter Pence, however there are 4 key players who are Free Agents after this season. Pablo Sandoval and Sergio Romo will definitely command a pretty penny on the open market, meanwhile Mike Morse and Ryan Vogelsong are in contract years – after accepting 1 year deals each from the team. The problem going forward is their Divisional rival LA Dodgers putting the economics of baseball to shame, but serving up a $236 MIL payroll in 2013. The Southern California franchise will continue to dole out this kind of bank for the next 4 to 5 years. While that doesn’t guarantee you everything, it buys you a lot of talent. Los Angeles has a Starting Pitching Staff to be reckoned with, and saying that this doesn’t have to concern the San Francisco Giants would be lying. With 2 Wild Card Positions available now, San Francisco can always make the playoffs via that route. With Matt Cain being one of the best aces in the game, it would favor this squad in most one game playoff games. The Roster looks pretty good for the next couple of years, with only Brandon Crawford and Brandon Belt being the only significant pieces that are bumped in Salary Arbitration in 2015 – and 14 players already being locked up for next campaign. The other Entry – Level contracts round-up most of the remaining spots. With the pending Free Agents – and the dough cleared up from Barry Zito next year, the club will have $26 MIL coming off of the books. Brian Sabean and the brass have done a great job maneuvering this team through the financial circles. AT & T Park also continues to be filled year in and year out and is regarded generally as the top ballpark in baseball in terms of stadium goers. Cain finished 2012 career year 16-5 with a 2.79 ERA, both career bests. He started all 4 game clinchers in the postseason getting the Win in the NLDS and the NLDS. His 2012 season proved that he is the ace of the San Francisco Giants. This all prompted manager Bruce Bochy to name Cain the 2013 Opening Day starter. Last was not as kind to the Veteran Pitcher, he featured 8 – 10, with a 4.00 ERA in 30 GS and 184.2 IP. It was the 1st time in 7 years that the RHP failed to net 200 IP. 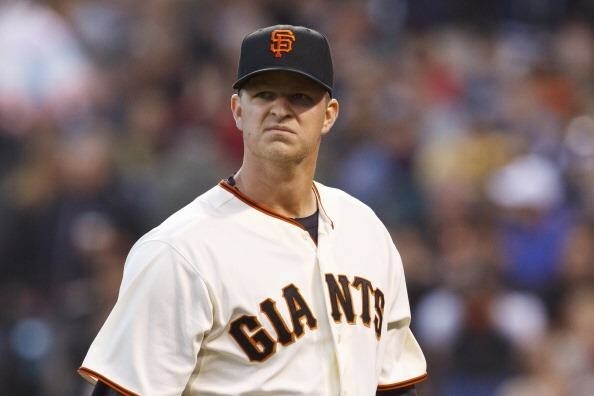 Cain will make $101 MIL from 2014 – 2018, so the club will need him to bounce back to his ace like stuff. Posted on February 16, 2014, in MLB Payroll and Contracts and tagged angel pagan, barry zito, Brandon Belt Marco Scutaro, brandon crawford, brian sabean, buster posey, David Huff, Ehire Adrianza, George Kontos, Gregor Blanco, Hector Sanchez, hunter pence, Jake Dunning, javier lopez, jean machi, Jeremy Affeldt, joaquin arias, Juan Perez, madison bumgarner, matt cain, michael kickham, Mike Morse, Nick Noonan, pablo sandoval, Roger Kieschnick, ryan vogelsong, Sandy Rosario, santiago casilla, sergio romo, sf giants 25 man roster, SF Pitchers, SF POSITION PLAYERS, tim hudson, tim lincecum, tony abreu, yusmeiro petit. Bookmark the permalink. 1 Comment.